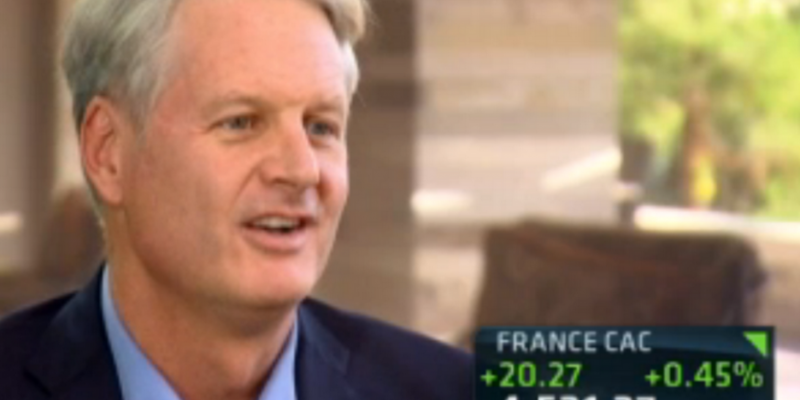 John Donahoe, CEO of online e-commerce marketplace eBay and its subsidiary PayPal, has once again hinted strongly that he sees the integration of bitcoin into his companies’ offerings as inevitable. His new statements suggest that bitcoin may be more than simply on eBay’s “radar screen” as he has previously suggested, and follow his May declaration at a shareholders’ meeting that the company is “actively considering” integrating bitcoin into its online payment gateway, PayPal. The CEO also indicated that he personally owns bitcoin, and that he is more interested in understanding the technology behind bitcoin than using it as an investment. In the interview, Donahoe also addressed an ongoing issue with rival Amazon, which has recently found itself embroiled in a battle with a major book publisher. While the comments were unrelated to bitcoin, his response does provide a insight into why eBay may be looking to embrace digital currency at a time when other major tech players such as Amazon and Apple are holding the innovative technology at bay. As more small merchants begin to associate strongly with bitcoin, it’s possible that eBay will see increased demand for the addition of such offerings. Although eBay has not formally embraced digital currencies – as other online e-commerce players like Overstock and TigerDirect have done, the company nonetheless has allowed the technology to be used on its website, if only in particular use cases. For example, eBay’s classifieds listings sections in the US and UK now display virtual currency categories where consumers can facilitate peer-to-peer digital currency buying and selling. That move was encouraged by site users, many of whom had previously sought to exchange such assets via eBay’s global platform, but reported that postings were removed for conflicting with the company’s policies at the time.